Holy Moly it’s a Pignoli Cannoli | That Yum Factor! The Holy Moly Pignoli Cannoli lives up to its extravagant name. 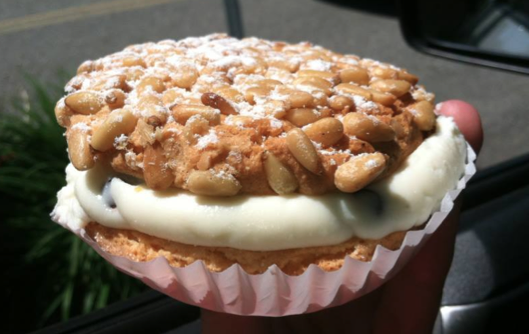 Not only is it the size of my hand (use picture for reference) but it combines two of my favorite dessert treats: Pignoli cookies and Cannoli cream. This is a MUST try. Posted in Bergen County - NJ, Image format and tagged Ramsey on August 9, 2013 by thatyumfactor.